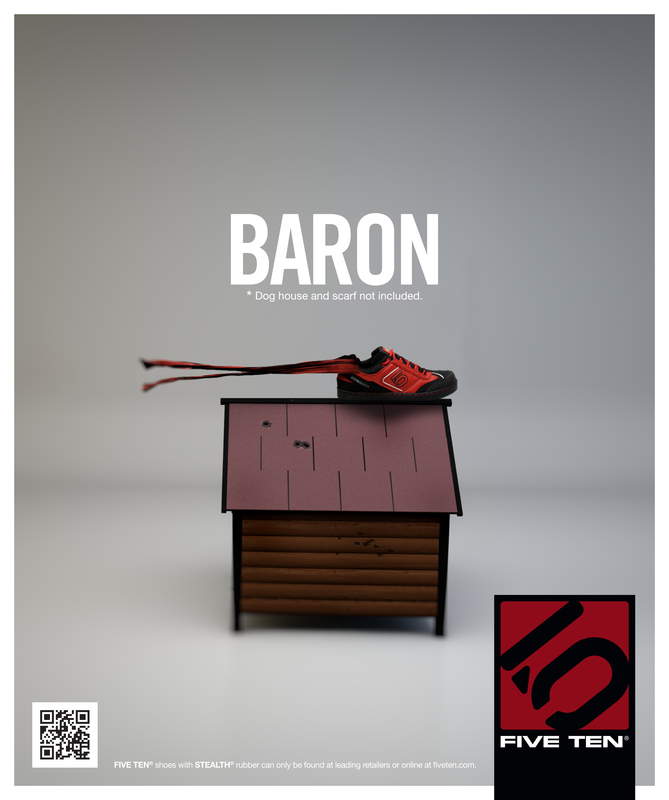 National print advert for the release of Five Ten's new mountain biking show, The Baron. The concept plays off the idea of Snoopy's nemesis, The Red Baron. This time, Snoopy wasn't so lucky. National print advert for the release of Five Ten's new mountain biking show, The Baron. The concept plays off the idea of Snoopy's nemesis, The Red Baron. This time, Snoopy wasn't so lucky.